This bit is popular amongst show jumpers as it offers a similar action to the American gag, but without the lifting of the horse's head. The shank gives leverage and keeps the horse's carriage lower whilst providing brakes. The sweet iron and copper proves delectable to the horse and softens the hostile reaction to the bit. 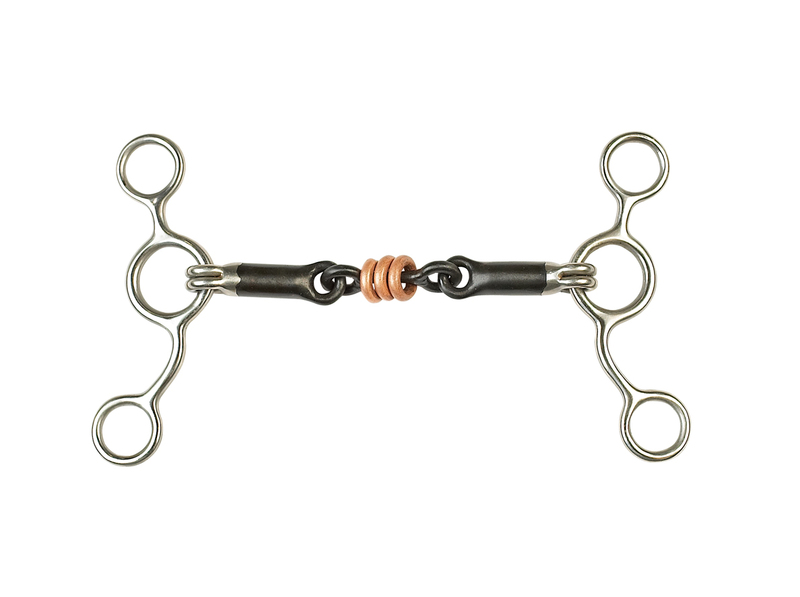 The loose copper hoops in the centre massage the tongue and encourage the horse to maintain focus. There are currently no questions for Lorina Tom Thumb Sweet Iron Roller Link - be the first to ask one!